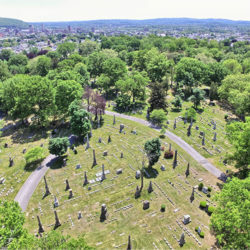 In selecting the site of Charles Evans Cemetery, the founder employed unusual vision. 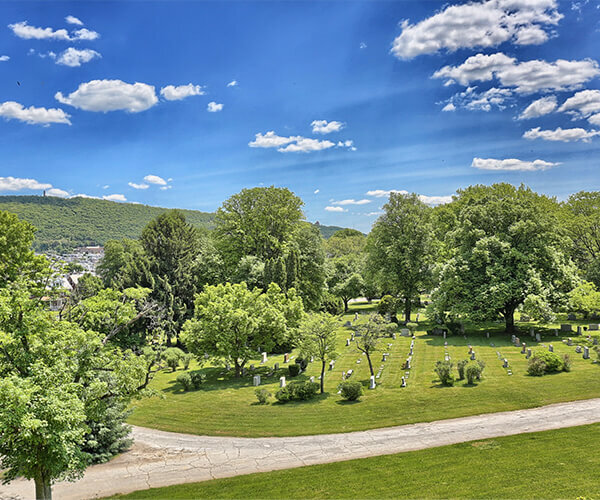 For even today, it enjoys the quiet and stately grandeur of a cemetery far removed into the country, yet it is easily accessible to everyone in the county. 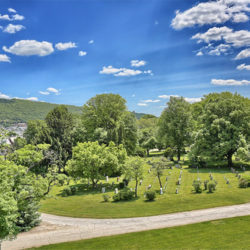 Although sufficiently remote, it can be conveniently reached in a few minutes by public or private transportation from the center of the city. 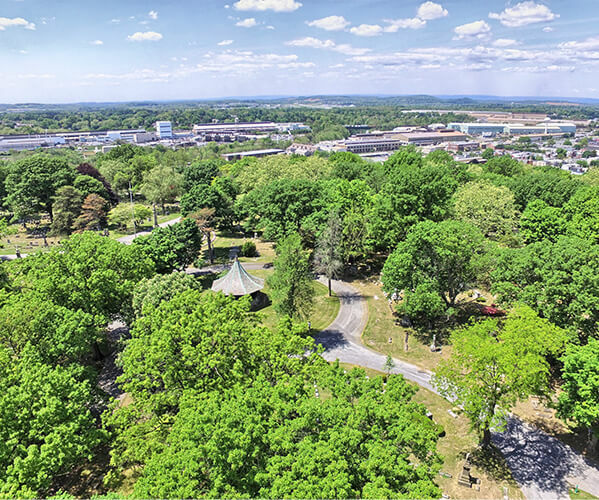 Seven miles of well-kept roads make this extensive area easily accessible to lot owners. 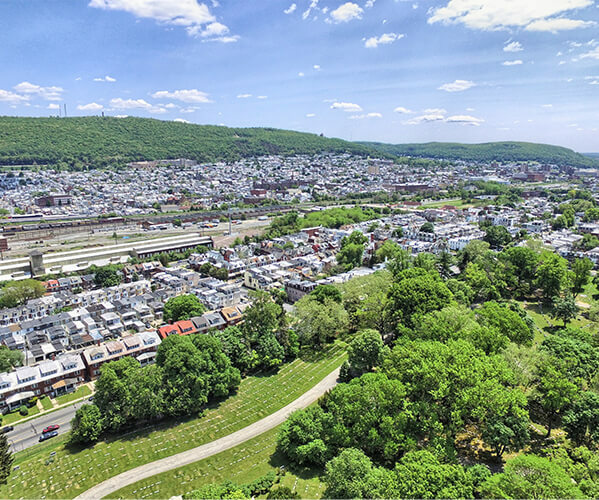 Yet – because of its inviolable charter – Charles Evans Cemetery continues to preserve its spacious charm and permanent character as if it were miles apart from city tragic. 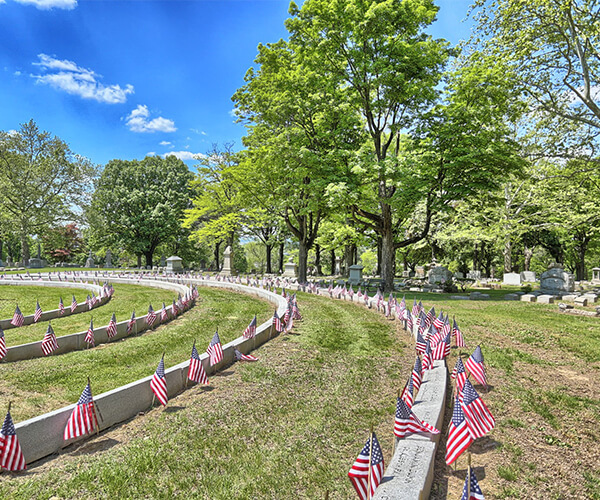 These are benefits that families fully appreciate when visiting the cemetery. 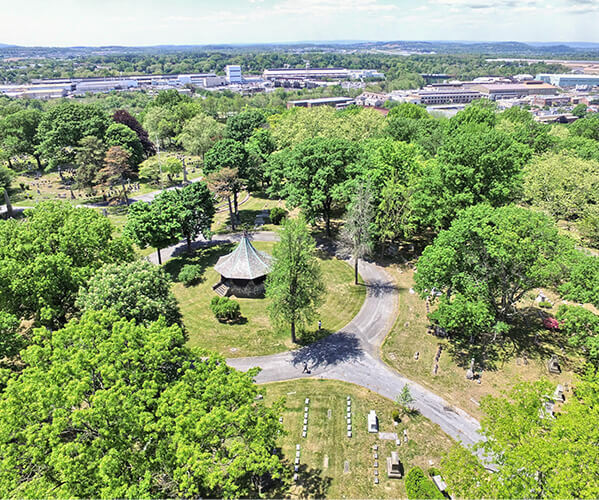 Moreover, the sacred peace and serenity of those at rest in Charles Evans Cemetery can never be trespassed. 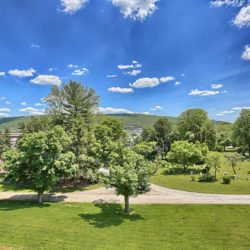 All the land, equipment and buildings are owned outright by the cemetery. 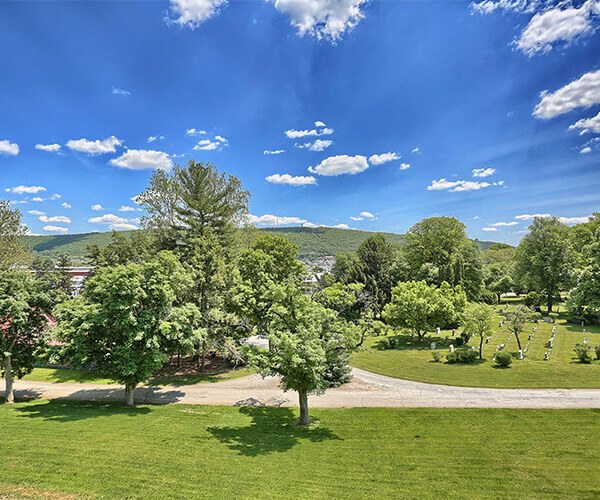 Never, therefore, can the city’s growth encroach upon the sanctity and natural beauty of the cemetery. 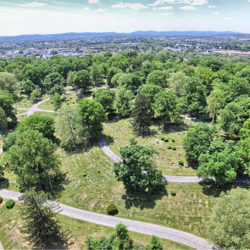 The Charles Evans Cemetery is a non-profit and its lots, crypts and niches are available to all, with a portion of each purchase designated for perpetual care. 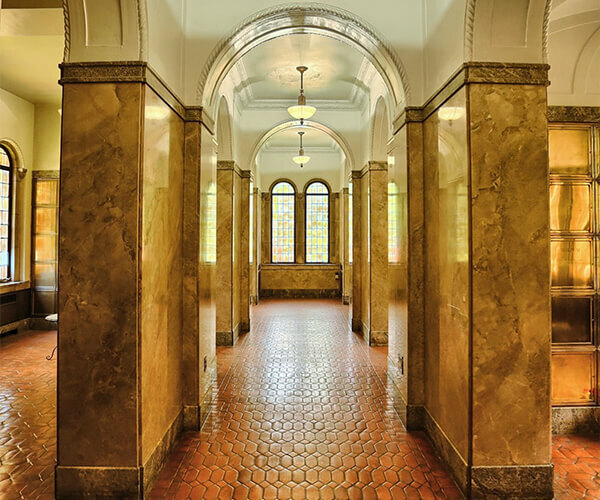 Lots can be purchased in advance, thus allowing more flexibility in selection. 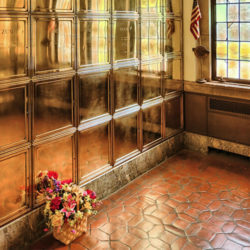 Cremation, interment services and burial vaults can also be purchased prior to need. 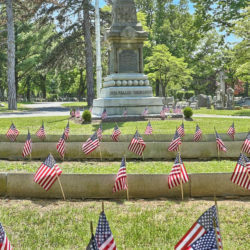 Payments which the Cemetery receives in advance for goods and services are placed in trust, thereby guaranteeing the prices. 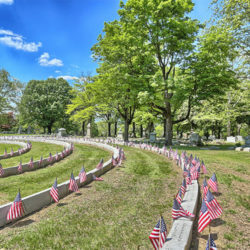 Other trusts are available for additional services desired for a specific lot such as flower placement on a major holiday, continued care of shrubbery or the cleaning of memorials on a periodic basis. 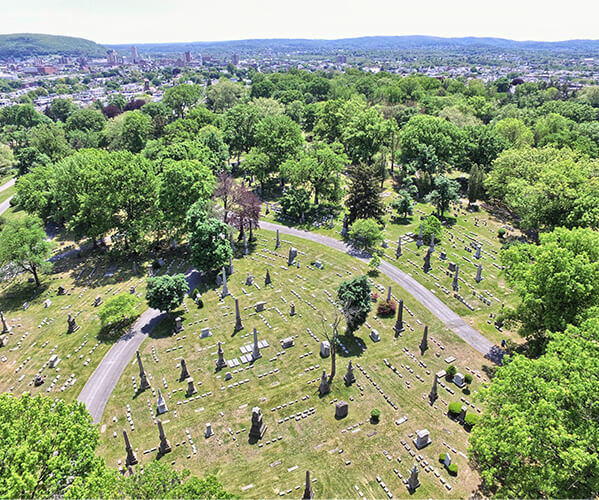 Visitors are always welcome at Charles Evans Cemetery and appointments can be made by calling the office at (610) 372-1563. 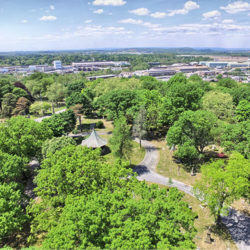 Learn about the unique location of Charles Evans Cemetery and the wildlife that can be found here. 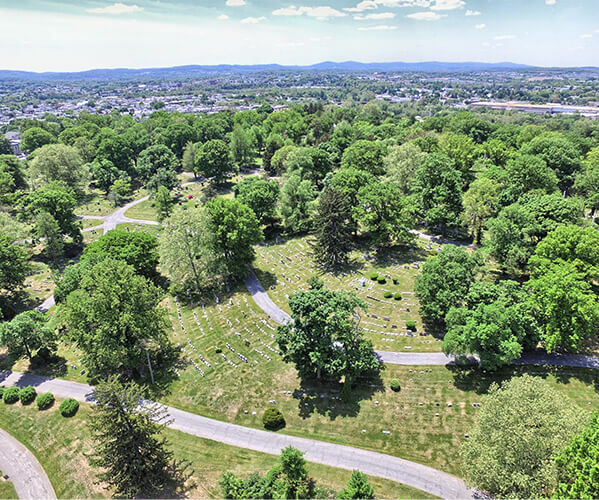 Throughout the past century, Charles Evans Cemetery has endeavored to meet the changing times. 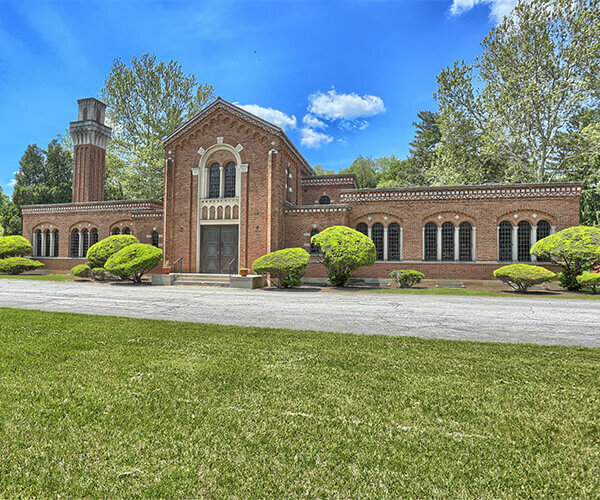 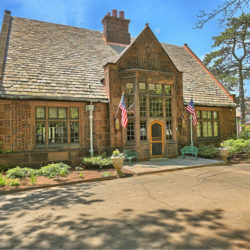 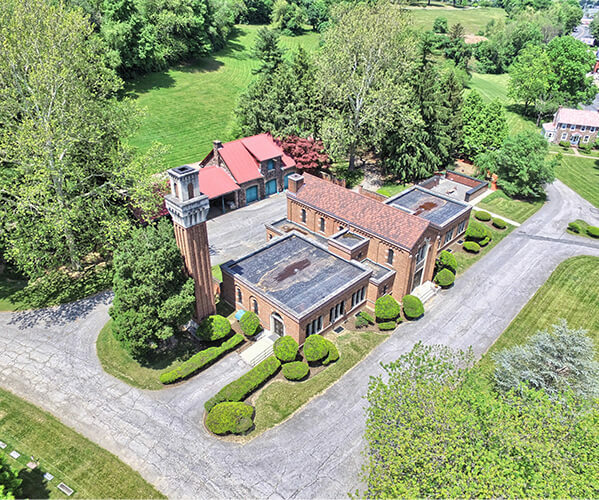 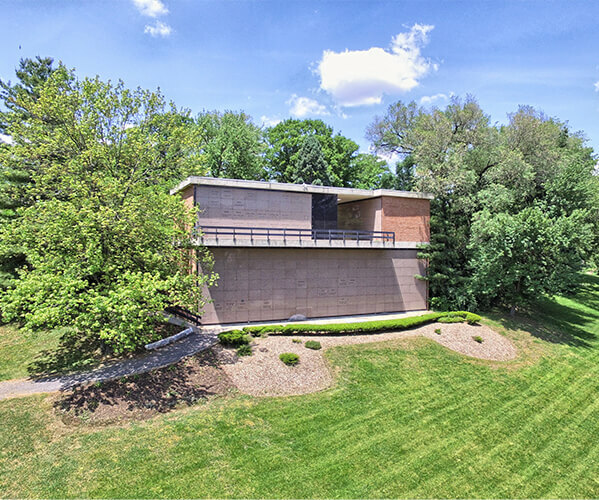 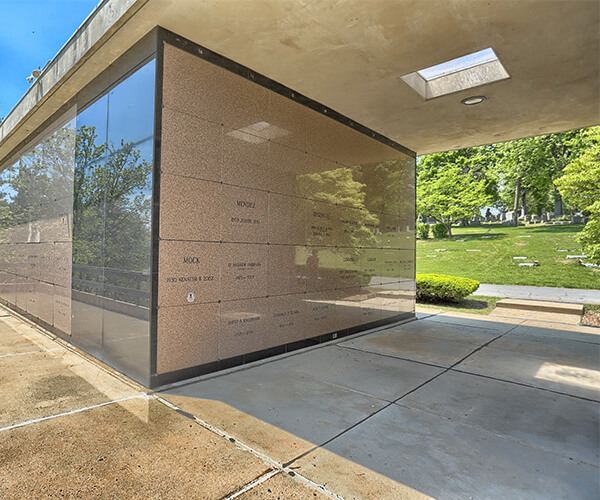 Recognizing the growing demand for cremation, the cemetery built the modern Crematorium, Chapel, and Columbarium in one of the most attractive sections. 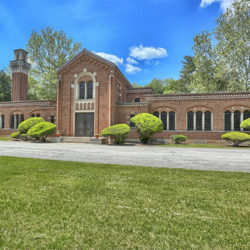 The building is of graceful Italian design. 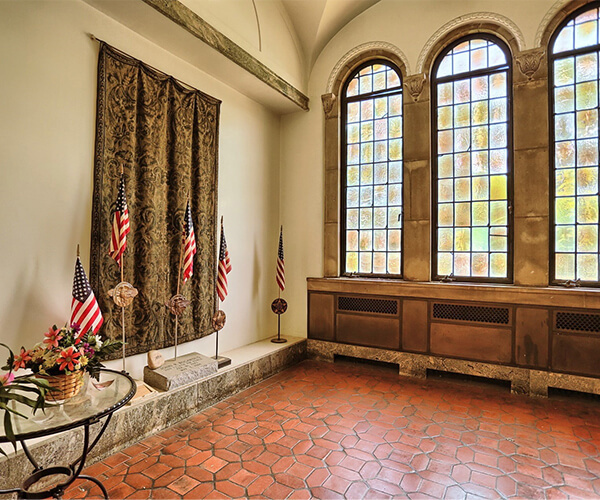 Its distinctive, artistic windows suggest the sunny serenity to be found inside. 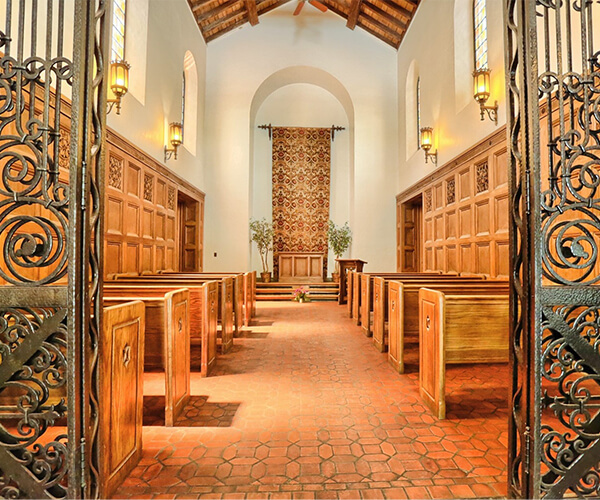 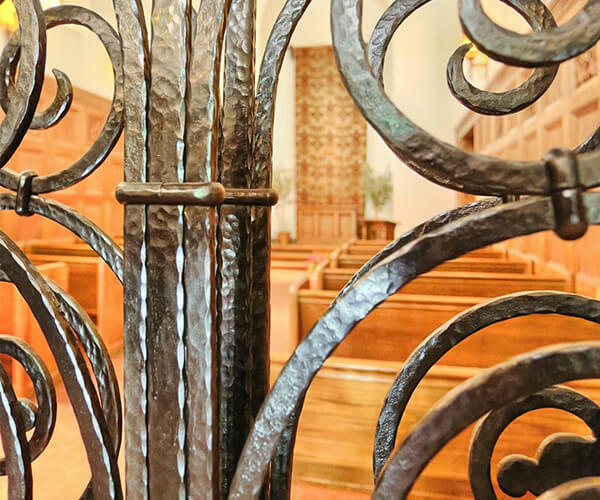 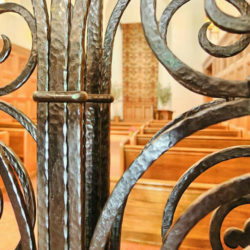 A majestic bronze door, itself a piece of architectural magnificence, opens into the impressive chapel with its massive oak beams and stately charm. 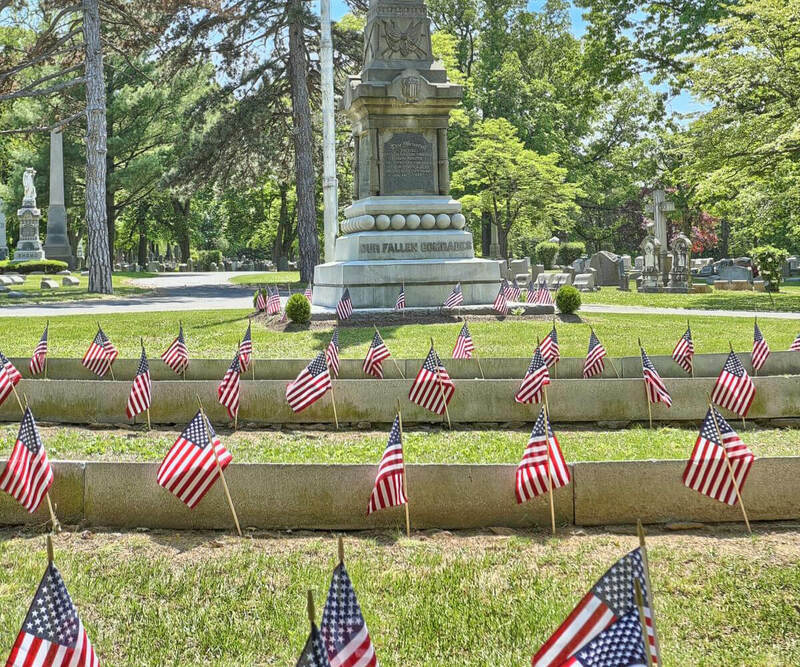 Here, committal services are held with reverence… services whose simple dignity will be forever graven on the memories of all who behold them. 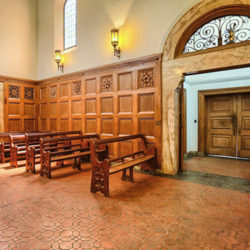 The sacredness of a cremation service is further enhanced by gentle strains of music from the hidden organ. 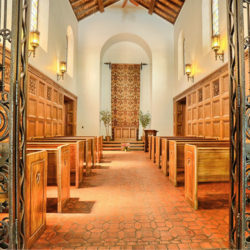 The use of the chapel and organ is available without charge to all patrons. 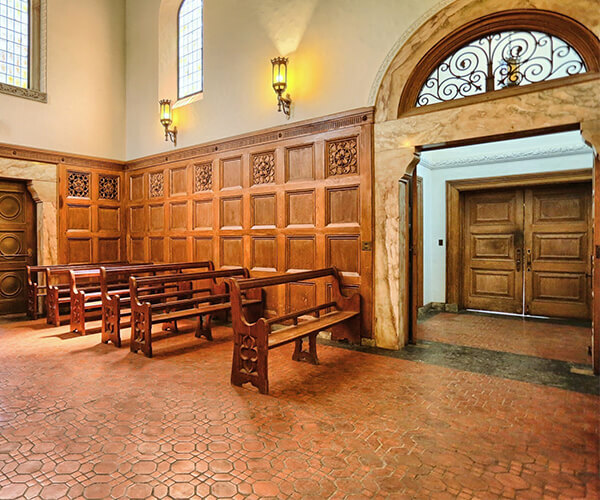 The chapel is also available for services during inclement weather when graveside attendance would be impractical. 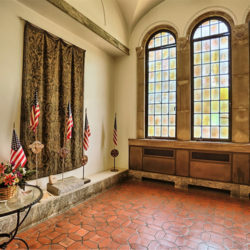 Off to the right of the chapel is the Columbarium, where memorial urns find an everlasting resting place, safe from the elements. 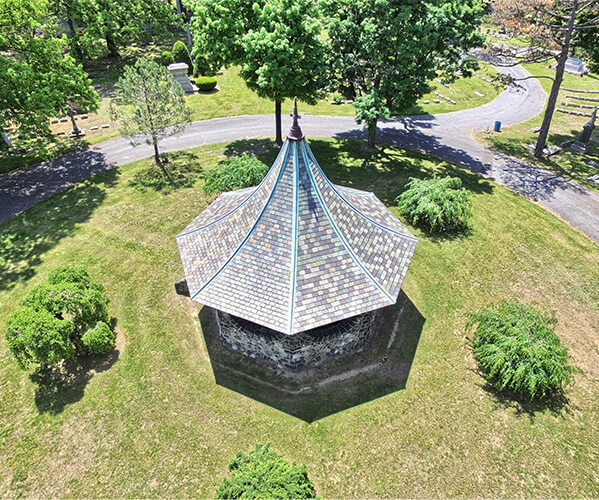 The Charles Evans Columbarium has been designed not only for beauty in architectural detail, but also for permanence… an enduring sanctuary that can never be disturbed by wind or weather. 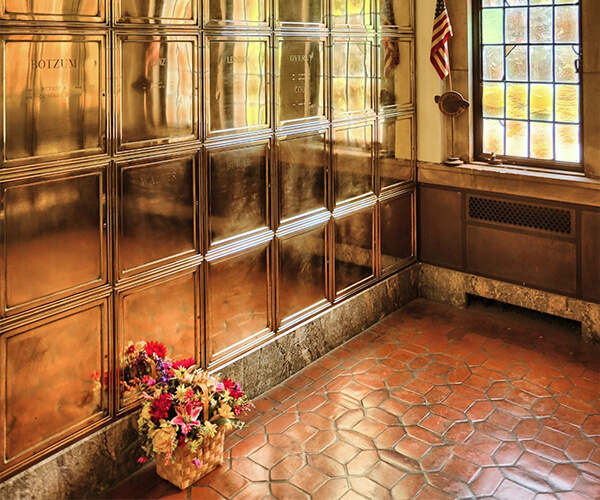 The niches of varying sizes, for individual or family use, are of sturdy imperishable bronze. 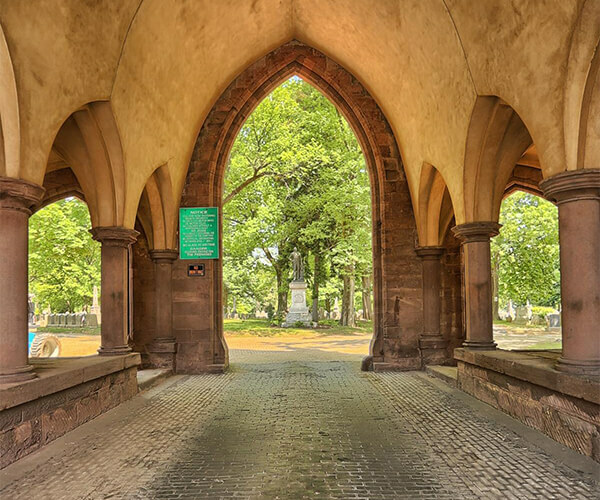 If you are a Funeral Director interested on cremation services, please do not hesitate to get in touch. 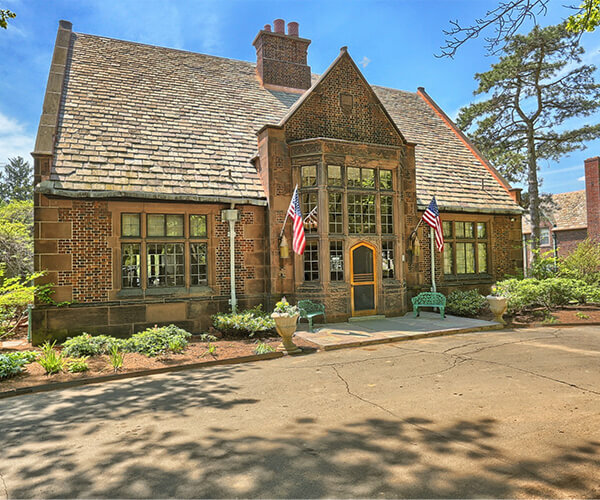 Appointments can be made by calling the office at (610) 372-1563. 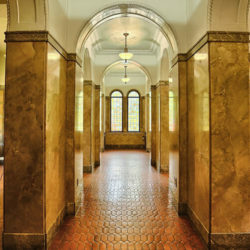 Courteous staff members are on hand weekdays from 8 am until 5 pm and on Saturday from 8 am until 12 noon.